Find similar downtown condos for sale in Townsend Place in Boca Raton FL. Pet Friendly Townsend Place is located in beautiful downtown Boca Raton, Florida. It has a great location within walking distance to Royal Palm Place and Mizner Park. 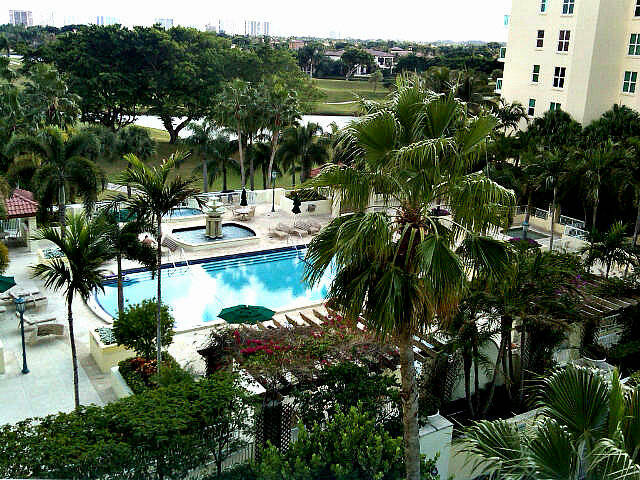 This pet-friendly condo in Boca Raton FL is a rare find downtown in that it is guard gated. Townsend Place is made up of two towers. The first tower was built in 1998; the second tower in 2003. Each tower is 9 stories with a total of 195 units. Many of the units at Townsend Place offer city, golf and ocean views. Units at Townsend Place are 1, 2 and 3 bedrooms, and range in size from approximately 1400 to 2500 square feet. Condos for sale at Townsend Place in Boca Raton FL offer 9′ ceilings, large master suites, private balconies, gourmet kitchens, luxurious bathrooms and hurricane impact glass. 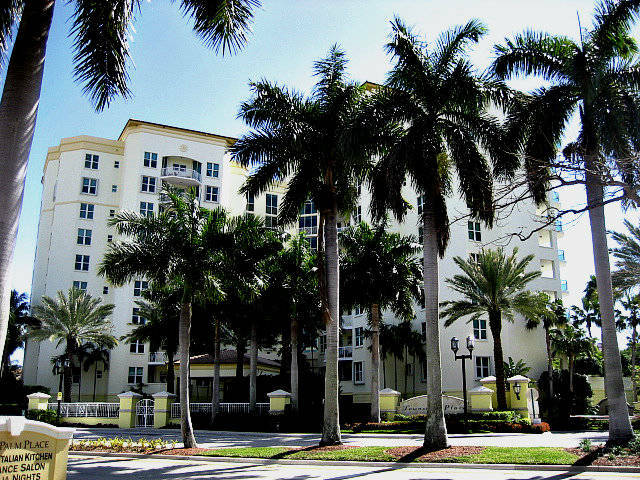 Townsend Place is a full-service condo in Boca Raton FL. Upon arrival at this fabulous building, you will be greeted by valet parking and a concierge that will assist you with anything you may need from reservations to dog sitting. Townsend Place in Boca Raton FL is known for its five-star service. The building has a fitness center, resort-style swimming pool, spa and club room. Are you a dog lover? Pet lover? Townsend Place is a pet friendly condo in Boca Raton FL. If you happen to be an animal lover, that’s a great thing because pet-friendly condos in Boca Raton Florida are sometimes hard to find. I love this because I am a dog lover. Walking distance to shops and restaurants, Townsend Place is perfectly situated with a high walk score to Mizner Park and Royal Palm Place. It is close to the beach, as well as the Boca Resort. Just a short drive to Delray Beach’s famous Atlantic Avenue, with its many restaurants, shopping, galleries and goings on. Townsend Place is close to grocery stores, Trader Joe’s, Fresh Market, drugstores, dry cleaners, schools, houses of worship, many fine restaurants, shopping, and Boca Raton’s famed Town Center mall. They are doing a lot of building in downtown Boca so there is more to come. It is less than 5 miles to Boca Raton Regional Hospital, a major hospital. Townsend Place is easily accessible from three airports; Fort Lauderdale, West Palm Beach International Airports and Miami International Airport. In addition, Boca Raton has its own private airport. World class shopping, world class restaurants, beautiful sandy beaches and a pet-friendly condo make Townsend Place a winner. For information about pet-friendly housing in Boca Raton or the Boca Raton real estatemarket, please contact me. I am a Boca Raton Real Estate Agent. I can be reached at (561) 716-7824, by text or email at [email protected].